Lucy Denney, who passed away on May 1, 2018, was a tireless volunteer in the cause of building a better Arlington community and a better country. 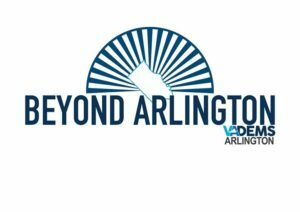 Described by one local publication as a “titan of Arlington civic life,” Lucy was a leader of the fight to wrest control of the Arlington County Democratic Committee, ArlDems, from the segregationist Byrd machine. For five decades afterwards she helped run ArlDems and build it into the force for progressive ideals that it is today. She helped elect many local Democratic candidates, leading the County Board campaign coalition for over two decades and managing campaigns for 29 Democratic County Board candidates. 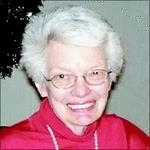 She also ran re-election efforts for Congressman Joe Fisher in 1978 and 1980. To all of her work, she brought intelligence, energy, wit, and decency. She will be sorely missed. 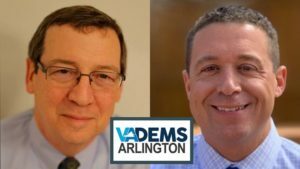 RESOLVED FURTHER ​that the Arlington County Democratic Committee will prepare a copy of this resolution for presentation to the family of Lucy Denney, as an expression of the Committee’s respect and fondness for Lucy and appreciation for her decades of service to the Committee and our community.